Dance in the mist of Niagara Falls at a post-festival experience never to be forgotten. We start our journey at the SPK Polish Hall (206 Beverley St. Toronto, M5T 1Z3). 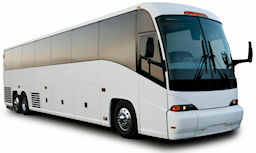 Bus will start boarding at noon, and bus departs at 12:30pm sharp!!. Signup is first come, first served, so don't miss opportunity to see one of the wonders of the world. 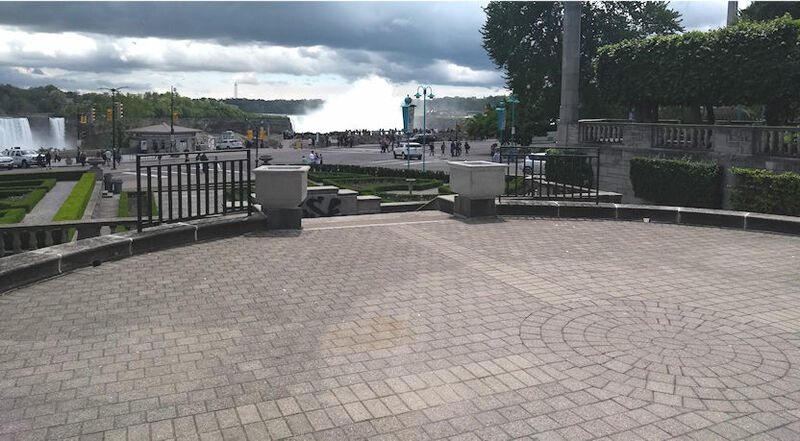 After we arrive at Niagara Falls we can relax and get ready for the Journey Behind the Falls tour where we descend 150 ft. by elevator through bedrock to tunnels that lead us to two outdoor observation decks at the very foot of the Falls. Then we get to go directly behind the Falls where you`ll experience the awesome spectacle of one-fifth of the world's fresh water crashing down in front of you as over 2,800 cubic meters of water thunders over the brink every second, travelling 65 kilometers per hour. 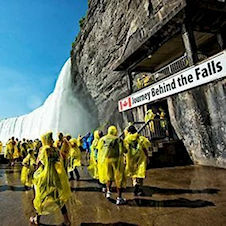 You will receive a free souvenir rain poncho (your to keep) as protection from the mist of the Falls. We then have plenty of time to relax, go sightseeing or sit down for a leisurely coffee at the Queen Victoria restaurant overlooking the falls. At 5pm we all meet at the Oakes Garden Theatre park for our outdoor milonga (5pm - 8pm). After that there is time for dinner, and at 10pm we board the bus for the ride home. 12:30 pm (sharp): Departure from SPK Polish Hall 206 Beverly St.
12:00am: Arrive at SPK Polish Hall, 206 Beverley St. The outdoor milonga literally overlooks the falls as we enjoy our DJ spinning your favorite tango songs. But since we are dancing outside on a stone surface wear comfortable shoes that will not be damaged by the inlayed stone tiles. If you want to make your own way to Niagara Falls, or you live in the area you can still attend the outdoor milonga for only $10. Meet us at the Oakes Garden Theatre park (5825 River Rd, Niagara Falls L2G 3K9) between 5pm and 8pm. Having the freedom of not having to drive there and without worrying about getting home afterwards!